Please Click Below To Download Our Latest PDF Catalogue, packed with over 4000 lines. Everything For your Boat, Yacht, Jetski. Simply email us the part numbers for the very latest prices. Supplying Marine and Boating supplies throughout the UK. You will find our marine supplies catalogue packed with over 4000 lines, everything for the boating, sailing, yachting, rowing, race boat, canal boat and jetski enthusiast all under one roof. Prices are guaranteed low and special discounts apply to bulk orders. 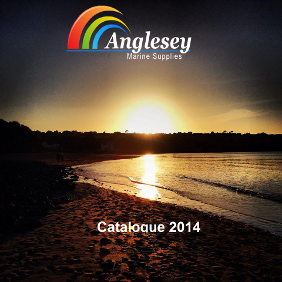 At Anglesey Marine Supplies you are sure to receive a great deal. Also ideal for when you are rebuilding or refurbishing a boat as we have the lot. Simply email me the part numbers and I will guarantee you very low prices that take some beating.